run, zoe, run! : Would You Like Some Toe Juice? Yes, it does sound strange. Those two words put together: Toe + Juice. But don't worry, it's not at all what it sounds like! In fact, it's a rather amazing product that is not only for feet, but hands, arms, legs, etc. I got to try out some Toe Juice and their sanitizer product Hog Wash some weeks ago. I got reallllllly sunburned on my feet while at the beach last month (to the point where they were extra swollen and probably should've blistered). I immediately rubbed Toe Juice on the burn and it cooled it down instantly. Then, I diligently applied more Toe Juice every few hours for a day or two. Guess what? My burn didn't peel! That's a first for me. My skin bounced back like it was never burned in the first place. It was awesome! The Toe Juice felt light and not like my skin was suffocating under extra creamy lotion. Plus, it didn't make my burn feel as itchy or sore if I didn't use any kind of product. That's it. I fell in love with a product called Toe Juice. As for Hog Wash, it's like any normal hand sanitizer, and yet, not. It actually made my hands feel moisturized rather than extra dry and cracking after using Purell constantly. Now it has taken the place of all my other hand sanitizers at home, work and in my purse. "Toe Juice is a fast drying liquid, which refreshes, soothes, and softens dry cracked feet, in addition to stop itching, burning, and annoying irritations. Toe Juice effectively remedies most skin problems like psoriasis, eczema, athlete's foot, dry patches on the skin. Toe Juice can easily be applied to the skin by using a cotton swab or even directly from the bottle to the infected area. Application by hand also is safe and convenient." It makes sunburn feel better! Toe Juice was kind enough to sponsor a giveaway of their awesome products. So many ways to enter! 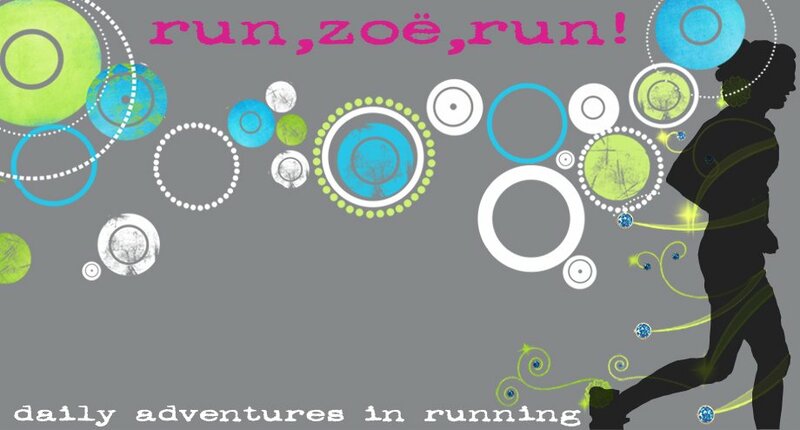 OR Send me a pic of why you REALLY REALLY NEED some Toe Juice lovin' to zoe@runzoerun.com! Yes! Send me pics of your dry, cracked tootsies! This will count as 3 entries! The giveaway will end Friday 9/3, with the winner picked via Random.org & announced on Saturday the 4th. 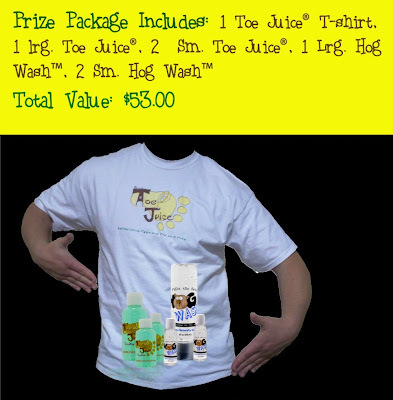 Toe Juice will ship the merchandise directly to the winner. Sweetness! Already a follower, and I linked to your contest on my blog! Helps with eczema - I should buy some even if I don't win! i LOVE your new header so cute! Posted the link to your giveaway on my blog and on Facebook. You can use this for bug bites? Awesome! I like Toe Juice on FB. I sent a foot pic - sorry! very interesting! i want to try!!! I won't embarres myself by sending a picture of my feet, they're pretty BAD!! Love that it helps with razor burn and smelly feet...so funny! Hey, I tagged you with an award on my blog...go check it out!